I’ve never really used a ready made curry paste before, but I saw these when I was working and thought I would give it a go! 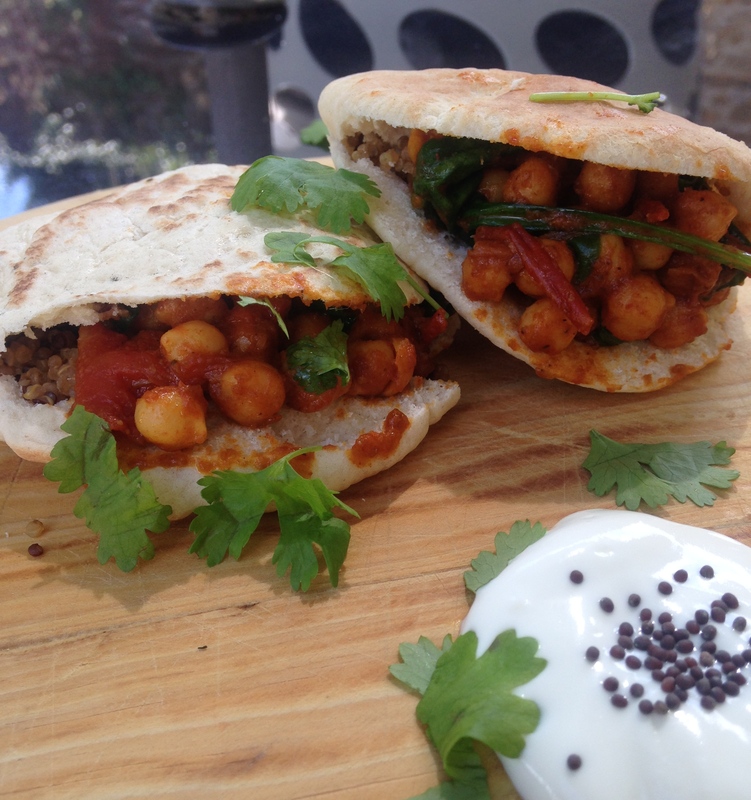 The mini pittas I’ve used are really sweet and perfect for this sort of meal/snack, but if you can’t find them then just cut large pitta breads in half. If you fancy you could even have a go at making them! (something I’ve never quite gotten round to doing) I’ve served these with yoghurt as per usual, but if you wanted to up this simple lunch into a full blown meal then I would recommend adding a lemony salad, mango chutney and perhaps even some sweet potato fries. 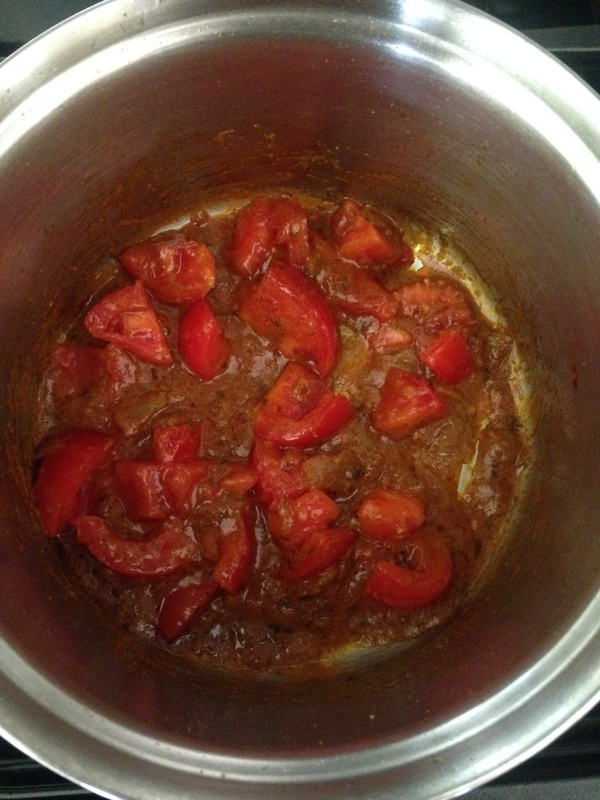 Put a tablespoon of oil into a small saucepan on a medium heat, add the tikka paste to the pan and stir for a few minutes. Then roughly chop and add the tomato. Simmer for 5 minutes. 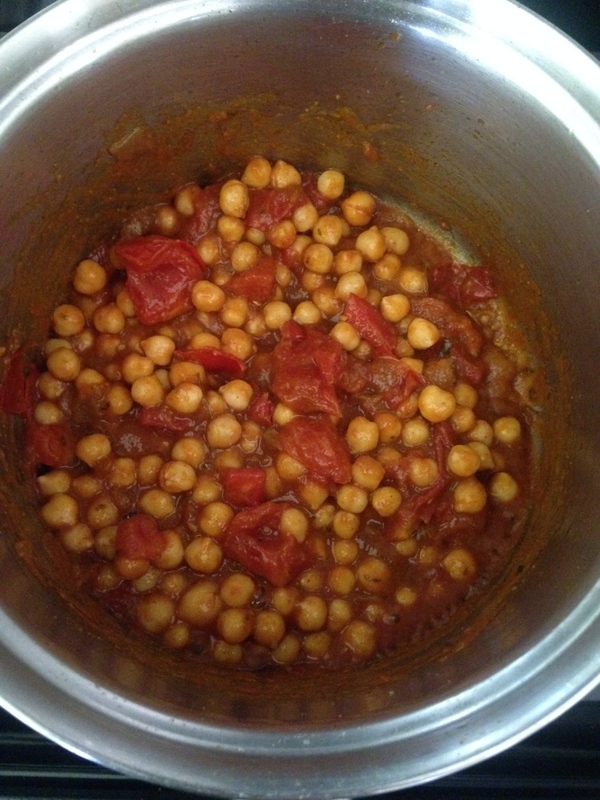 Drain and rinse the chickpeas, then add to the pan and simmer with the lid on for a further 20 minutes, adding a little water to loosen the mixture if needed. For the last 5 minutes, remove the lid of the pan so the liquid can reduce a little. Take the pan off the heat and stir the spinach through the curried chickpeas until wilted. Slice open the pittas, if they arent coming apart willingly then warm them a little in the microwave! Warm the quinoa according to packet instructions (I find the microwavable or boil in the bag packets much easier and quicker to deal with than other types) and add to the bottom of the pittas. 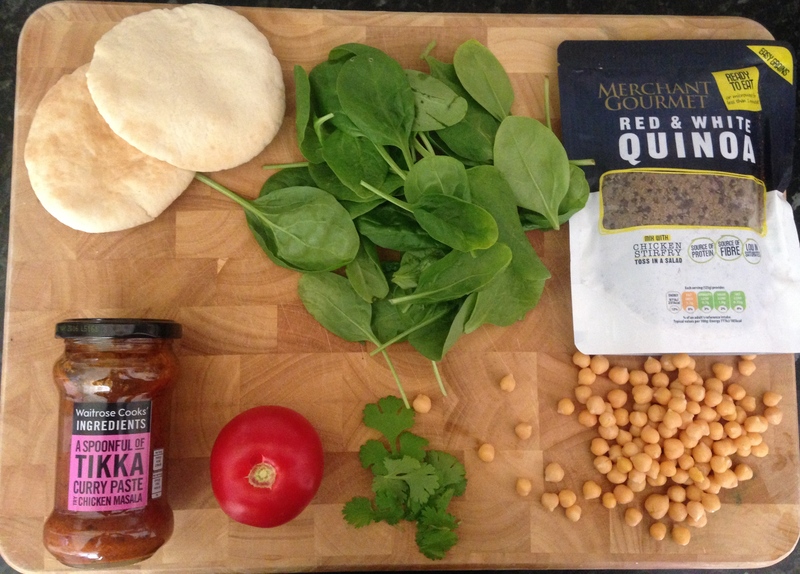 Fill up with the chickpea and spinach mix, then serve with the yoghurt and coriander. This is a perfect lunch or snack using a few great time saving ingredients I would recommend for your store cupboard!